Do you have a hard time putting what’s in your head into words? Do you wish you could speak more clearly and that others understood you better? The INFJ mind is a gift and curse: it allows an INFJ to make incredible connections, see the big picture, and predict likely futures. But it also makes clear, linear communication a challenge. And to-the-point, straightforward talk is what most people in the world are looking for. The good news is that you can improve your communication skills. If you’d like to get better at sharing what’s on your mind clearly and concisely, check out these five strategies. 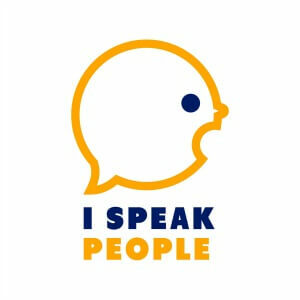 Most INFJs are better writers than they are talkers. Writing gives them time to process and organize their thoughts – two things they need to communicate well. To become a better talker, try leaning into your writing gifts. Type out or journal your thoughts, feelings, or what you’re learning on a regular basis. Commit to doing so once, or a few nights, per week. You’ll start to get better at figuring out what you want to say and how you want to say it. Writing will also help you rehearse thoughts and ideas in advance. Like the hours you spend preparing for a speech make the delivery smooth and effortless, the time you spend writing will improve the flow of thoughts from your brain to your tongue. It will also help you decide what’s worth saying ahead of time. 2. Process your thoughts and feelings first. INFJs often struggle to separate their own thoughts and feelings from those of others. They’re tuned into how other people are feeling and thinking, and INFJs sometimes even absorb other people’s moods. This can make figuring out which feelings belong to them and which belong to someone else challenging. In addition, the INFJ mind is often busy contemplating theories and asking deep questions. All this mental activity quickly becomes an internal hurricane of sorts where ideas, thoughts, and feelings swirl together furiously. When at all possible, avoid communicating important ideas when you’re mind is a whirlwind. First, talk out your thoughts and feelings with someone you trust. As an extroverted feeler, your mind is wired to “word vomit” and put it all out there. Only after you do this with a friend, family member, or journal will you be able to truly sort out what’s what. And then you’ll be in a better state to share coherent thoughts and ideas. 3. Study your own communication. To get better at talking, study what works for you and what doesn’t. Keeping your metaphors simple and relatable? Become a student of what’s working and what isn’t. Hold on to the good stuff and pitch everything else. One of the biggest changes I made was to try to cut my thoughts in half. I noticed that when I went on too long, people lost interest. So I made a concerted effort to cut out any fluff and make a beeline for the bottom line. While there are still times, with close friends and family, that I talk at length, I try to get right to the point as fast as possible with most people. This has helped considerably. 4. Be kind to yourself. Most INFJs are too hard on themselves. In most areas of their lives, they go easy on other people but are quick to put themselves down. The realm of communication is no exception. You’re probably a better communicator than you give yourself credit for. It’s important to keep in mind that you’re more in-tune with how other people react to your words than most people. And, as an INFJ, you’ll always be sensitive to criticism and prone to take the slightest bit of negative feedback too personally. The truth is that you’re probably a way better communicator than you give yourself credit for. If you start looking for and celebrating the positives, it’ll help you relax and share more clearly and freely. 5. Learn from other types. Most people on this planet are sensors and prefer talking about the concrete, practical, here-and-now details of life. INFJs are on the opposite end of the spectrum, focusing on theory, ideals, and future possibilities. To communicate with the majority, we need to emulate, to some extent, what sensors do and say. Personally, I’ve learned a ton from my ISTJ wife and dad about the power of concrete, specific examples and verbal economy. Don’t get me wrong. I’m not saying you should become a sensor – just that you should adopt some of their down-to-earth, no-nonsense communication tactics. The strategies will help other people access and benefit from your valuable ideas and insights, as well as improve your relationship. 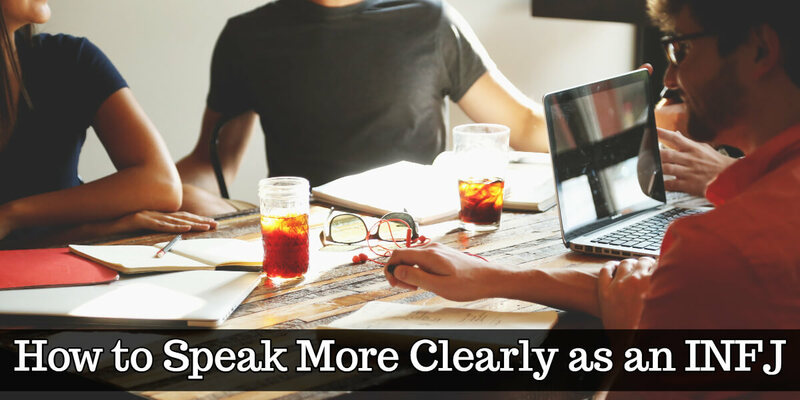 What’s helped you speak more clearly?